Online businesses in Malta are growing fast, and business owners have started realising how vital is having their online properties correctly search engine optimised. Sometimes it might be challenging to fully understand how to rank a website in Google search results if you are not an expert and a lot of business owners rely on SEO experts to avoid mistakes. SEO for businesses in Malta is an aspect that has to be taken into consideration while building a website. Hiring a great web designer does not mean getting the right SEO strategy in place, that is why, after reviewing hundreds of sites in Malta we have listed the Top 20 SEO most common mistakes of businesses in Malta. If you are new to Search Engine Optimisation and are based in Malta, check out our SEO Malta page to get a high-level overview of all the different areas you must concentrate on to increase your Google search engine rankings. This is one of the most common mistakes, and we have seen lots of big websites being guilty of it. Having a keyword rich URL structure is one of the most effortless wins for your site, as it is used as a relevancy signal to Google. A wrong URL structure will affect your future SEO efforts and will increase the chances of your website lack of page one visibility in Google. A meta title tells search engines what the name of the page is. This factor is essential for Google indexing to better understand the topic of the content on the page and rank it accordingly while helping users to quickly (and better) understand the content of a page as well. As weird as it sounds, it is very common among business websites in Malta, especially on those that were created more than 3 years ago on non SEO-friendly platforms. Your meta title should not be longer than 55 characters because search engines tend to restrict reading after a certain length. If the search engine only partly reads your meta title, it will not be able to position it correctly. As a result, your website will not rank high as it possibly should. This is by far the most common SEO mistake that we encounter daily. This happens when every page of a website has the same title. Usually, the reasons behind this are lack of an SEO plan (and unfortunately knowledge sometimes) when creating the site. There has always been a bit of confusion regarding meta descriptions. The meta description is not visible on your website ( they are included on the top part of the page source), they are a summary of the webpage, and it is what you see under the title in the search results page. The most common mistake with meta descriptions is simply that they are not written or not optimised for enticing clicks from potential visitors to your website. We see so many websites where the meta description is simply missing. Too many keywords. The meta description is not a place to stuff keywords as this can hinder your page rankings. Keyword density is the ratio of your target keyword phrase and the total number of words (that can be indexed) on a specific webpage. Keywords are essential for your website’s SEO; they give search engine information regarding your page’s topic and relevance. However, if the keyword density is too high (keyword stuffing) your page’s ranking gets affected. Repeating your target keyword hundreds of times in an article, will not make it more relevant, but it will tell search engines that you are trying to trick them with spammy tactics (that will only make it worse). On the other hand, if your keyword density is too low, it can also affect your rankings. Your aim is to find the right balance. This is one of those mistakes that we see quite often. Most of the time business owners try to take care of every aspect of the business, website included. There is nothing wrong with it, it is pretty normal (we all have been there at some stage). Once you find yourself with your brand new website, you have to add content, of course. A simple paragraph on the “about us” page or a brief intro to your services will not help your business to get more visibility online. Google loves high quality, in-depth and informative content. Same as users. 150-word article will not be enough to rank high on search engines. The shorter your content is, the higher are chances of google classifying it as thin content. Thin content is not just short text, is poor quality, high bounce rate and not enough time spent on the page by the user. Google hates thin content, and so do we. Among our clients, we have seen that this is also an issue for Gaming operators on their main websites. In fact, you will never see a lot of content on a casino or betting main pages; this is down to the nature of the business. As we mentioned several times, content is king, even for Gaming operators and that is why blogs and content-rich sections on your business website are vital to attract search engine traffic. Getting a website for your business is only the first step. Of course, having an online presence is essential nowadays, but how do you take care of it? We have seen a lot of businesses in Malta spending a lot of money on creating their website and never updating it. A site needs to be updated to be visible to users and search engines. Lack of fresh content is a common SEO mistake of businesses in Malta. Google constantly checks for updates, and it loves seeing fresh content. Adding new articles means that the website is still alive, and so is the business behind it. If you require a weekly business blogging solution (which we believe every business should have), reach out to us today. Related Article: Will Blogging Help SEO? We have seen several sites that never ranked for years due to incorrect categories structure. 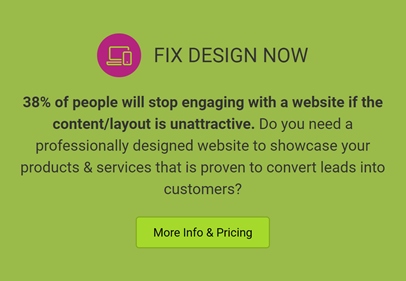 A bad structure leads to negative user experience with low site engagement metrics and low traffic. Sometimes websites either use too many or too little categories. A category should be used to cluster articles of a similar topic, which you can then interlink internally, as they are all relevant and it confirms to Google what the content on that section of the website is about. This also helps the flow of topical link juice between all the category. Therefore when someone links to your website, not only the page which received the link gets a nice jump in the rankings, but all the pages in the category also receive a rise in rankings. 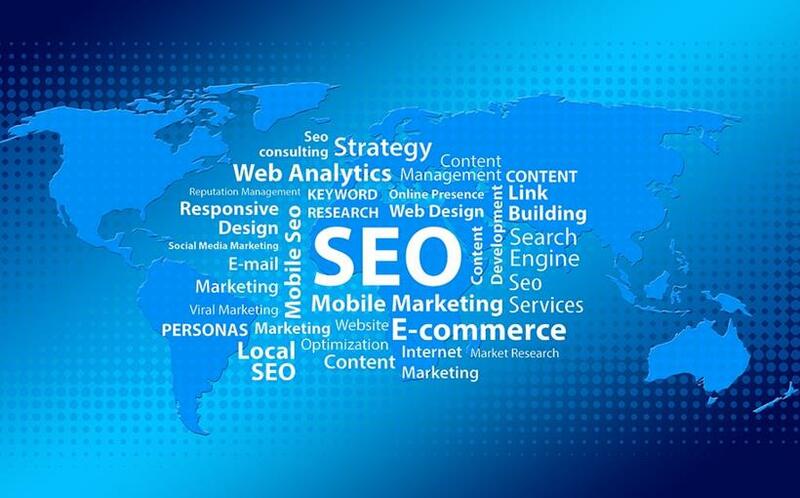 If you have a correct website structure, not only will it make users’ journey easier, but also google and other search engines will understand its logic, and you will rank higher. These type of files kill SEO. Unfortunately there are still a few websites among businesses in Malta, which have a flash media banner on, and of course, they cannot rank anywhere. 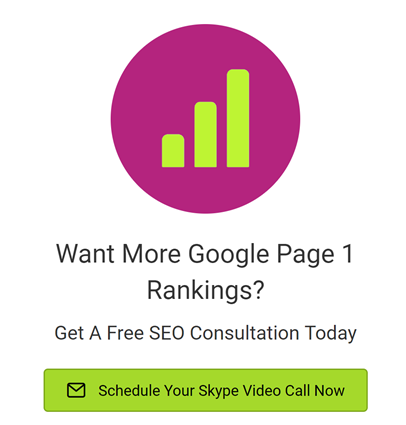 These formats are causing a lot of issues with SEO because they are not indexable. This means that search engines are unable to read them, therefore to rank their content (your content). As we mentioned before, among businesses in Malta, there is the misconception that having a Facebook business page equals having a website. There is nothing more wrong than that. First of all, a Facebook page is not your property, and you do not have control over it. Facebook can apply changes at any time, making your page disappearing from news feeds and there is nothing you can do about it. Recently Facebook has made a massive change which is affecting a lot of business pages. It decided to give more prominence to family and friends updates on people’s feeds and less prominence to business facebook pages (even if you had paid Facebook to grow your business page like!). This sounds like an obvious thing to do, but unfortunately, it happens very often that businesses “forget” to put their contact details in a leading position on the webpage. In the same way, a user might get frustrated not finding a way to get in contact with your business; Google sees that page as incomplete, which might affect your chances of a higher rank. There have been a lot of rumours around HTTPS and how it might or might not affect your website’s SEO. Not having the SSL protocol marks a site as “not secure” to Google ( and users). When the SSL certificate is installed, it means that the connection between server and browser is private and safe. Google has in fact added the SSL protocol as one of the approximately 200 ranking factors that might affect a website’s ranking. Page speed in one of the most important Google ranking factors. It plays a primary role in the user experience, affecting metrics such as bounce rate, time on site, pages er visit etc. A website’s speed depends on several factors, including server issues, image sizes and more. We see a lot of site with a decent SEO strategy in place that cannot rank higher because of pages loading slow. On the bright side, fixing the speed of a website is feasible, and it could be a good start for improving your position on search results. Another technical SEO mistake that we encounter quite often is not mobile responsive websites. Most of the times this is down to sites using old technology, which was not made to display on mobile devices. 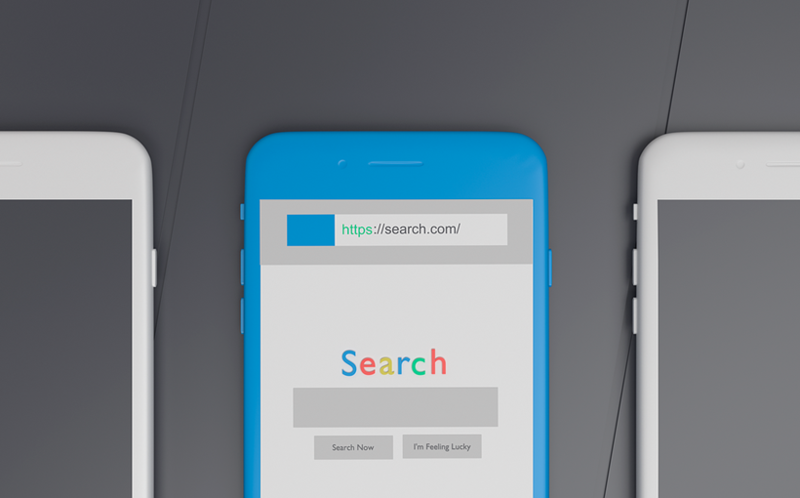 The majority of searches are nowadays made via mobile. Therefore Google pays a lot of attention on how the user journey of a particular website is on smartphones and tablets. While duplicate content does not trigger a penalty, it affects search engine rankings. When Google sees same or very similar content on different pages, it cannot decide which one is more relevant to certain search queries. Therefore it has problems placing it among search results. Duplicate content might result in traffic losses and low rankings. Websites with duplicate content are usually missing the Rel=”canonical”, which should be placed in the website HTML header and prevent these type of issues by telling search engines which URL to take into account (and avoid the others). In 2017 we have seen less of these cases among Businesses in Malta. However, we still find a few while performing technical SEO audits. – Bots are blocked: Bots cannot crawl the website because the robots.txt file has not been unblocked, which means that pages cannot be seen by search engines. – Bots that should be blocked on certain pages are not. This is the case of test pages or test environment that by mistake do not have the robots.txt file blocked and might cause duplicate content and ranking issues. 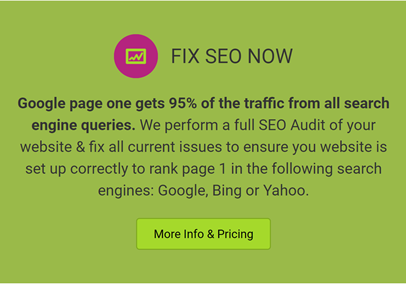 An SEO Audit can identify and fix these detrimental issues of your business website. Internal and external linking is a good SEO practice. However, it is also essential to keep your links updated and replace the broken ones. With regards to outbound links (those that redirect to an external page), we understand that website owners do not have full control over it, that is why it is vital to perform SEO audits regularly. One or more broken links are seen by Google when crawling your page/s and they negatively affect your rankings. Related Article: SEO Without Backlinks: Is It Possible? This SEO mistake not only does happen often but also it might impact your ability to rank all of your pages. The XML sitemap is a file which contains a list of all your website’s pages, and it informs search engines on how your content is organised. Without a sitemap, a search engine does not know how your website is structured and how often is updated. Especially in those cases where sites pages are not correctly linked together, not having a sitemap makes search engines job very difficult. This might result in low or no rankings at all. Images are an essential tool to enhanced the user experience on a web page. They are also necessary when we talk about search engine optimisation. Images have to be relevant to the page itself. The image alt tag and image title has to be optimised as well. Another crucial factor is the image size. Big images slow down the page speed and negatively affect the SEO. Compressing images and adding the right alt tag are essential factors to keep in mind when posting on your website. It is important to keep in mind that customers do not use industry-specific vocabulary. Therefore your website should not do it either. Using a non-user friendly vocabulary, which results in text too difficult to understand might affect the user experience, increase the bounce rate and of course lower traffic and ranking. This is why keyword research is an essential step to produce the right content for your target audience. Your webpage has to solve user queries with informative, easy to read content, which keeps the reader engaged long enough to give Google a positive signal. Last but not least common SEO mistake for Maltese (and not only) business websites is not using the tools that Google gives you for free. Both Google search console and Google analytics are vital for checking your website’s metrics and plan what needs to be improved. Google Search Console: this interface gives you an in-depth analysis of your website traffic, clicks, impressions and also potential crawling errors that need to be fixed. It also allows comparing data from previous periods of time to see how a particular change might have had affected your stats. Google Analytic: this is the most powerful tool for website owners and can provide you with in-depth data, with regards to the traffic source, users behaviour, and acquisition channels. It is possible to set goals (particular user action that you want to track) to get a better idea regarding details of the journey that led to it. Google analytics and google search console can be linked together to get a complete overview. We have to admit that these tools are not the most straightforward to understand, this is the reason why we take care of setting them up for our client, and offer a monthly or quarterly friendly report and also full training on how to check them. 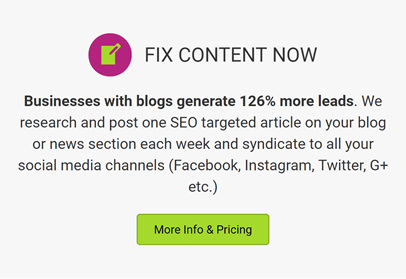 Fix Now Media is an Internet marketing service based in Malta, offering specialised SEO and Digital Marketing packages to help your business get more online traffic.